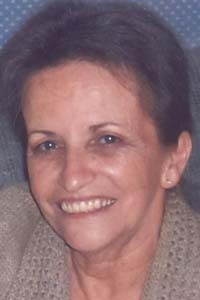 WARREN — Icie Ruth Click, 64, of Warren, passed away Tuesday, July 10, 2018, at Hospice House. She was born Aug. 31, 1953, in Warren, the daughter of the late Hartsell F. and Icy Ruth Herron Channell. On Nov. 26, 1982, Icie married James C. Click. They shared 27 years of marriage until his passing, April 21, 2010. Icie was employed at Horizon Village / Renaissance Center for 25 years. She enjoyed crossword puzzles, music and animals. Loving memories of Icie will be carried on by her daughter, Rebecca (Danny) Schreckengost of Howland; son, James G. (Starr) Jones of Boardman; grandchildren, Amber Rose, Eric Lee, Cameron Dominic and Alexander William; step-grandchildren, Haley Renee and Danny Allen; great-grandchildren, Aiden Benjamin and Casen Joseph; sisters, Norma (Don) Beck of Warren, Joyce Rutherford of Windham, Carol Berkenstock of Mineral Ridge, Julie (Bob) Haney of Warren and Roberta (Michael) Guerriero of Youngstown; brothers, Ronald (Brenda) Channell of Warren and Roger (Debbie) Channell of Warren; and many nieces and nephews and her friend, Allen Smith. Besides her parents and husband, Icie was preceded in death by her nephew, Eric James Rutherford. The family requests that material contributions be made to the Animal Welfare League, 812 Youngstown Kingsville Road SE, Vienna, Ohio 44473, in her memory.